The Worry Doctor: When parents ask how to present therapy to their young children, we suggest calling us ‘the worry doctor’. This title helps kids immediately understand what therapy is all about. Work with children is a highly specialized field that requires warmth, a sense of humor, and patience. Children do not approach problems directly, nor can they always talk about the things that are causing conflict. We therefore start by ‘doing’ rather than ‘talking.’ Age appropriate activities such as art, playing a variety of games and make-believe all have a therapeutic value, but also help a child to feel comfortable and better able to discuss their worries. Children respond best to concrete hands on approach. We have many activities and techniques available to help them work on issues such as anxiety, self-esteem, family problems, divorce, and friendship. Our primary goal is to give kids better coping skills. We always begin with a comprehensive assessments of a child’s history, family situation, school performance, social success, and strengths. “Little children little problems, big children big problems” Engaging teens in treatment is an art. It takes time and patience to reassure them that their autonomy will be respected. But we have to do so while still playing the adult role of encouraging better judgment and decision making. Achieving this balance can be tricky, but the payoff is big. Teens today are under considerable pressure and have a lot on their mind. Fortunately, in the right atmosphere, they also have a lot to say. Some of the issues we help teens address include: depression, anxiety, lack of motivation, drugs & alcohol, relationships, social issues, and conflict with parents. Teamwork: Although children and adolescents need to know that therapy is their space, parental involvement is essential to effective treatment. Parents also need guidance from time to time. Our skilled clinicians work to preserve a young person’s confidentiality while at the same time including parents in the process. Often this is accomplished through family sessions, though conversations with parents are always welcome. In some cases parents request us to extend teamwork into the community. We have developed excellent relationships with school personnel, pediatricians, and other professionals. Not every situation requires this type of collaboration, but in some cases it makes all the difference. It is never easy to enter a therapist’s office. We respect the courage it takes to change. Technique and approach are important, but most people choose a therapist they feel comfortable with, and who seems to “get” them. Our insight is a honed talent that comes from years of training and experience. The clinicians at Dorogusker, Price & Associates have mastered the art of listening, but are not the silent type. We will take an active role in helping you make progress. Whether your goal is to become more effective at work, improve a relationship, eliminate a destructive behavior, or to change other aspects of your life, we offer a thorough, effective, and results oriented approach. Family and couple’s therapy requires an active therapist who is willing to roll up their sleeves and guide the process. In order to resolve conflicts and improve communications the therapist must help change destructive behavior patterns, restore appropriate roles and boundaries, and reestablish trust. This requires a keen understanding of each individual’s concerns and needs. 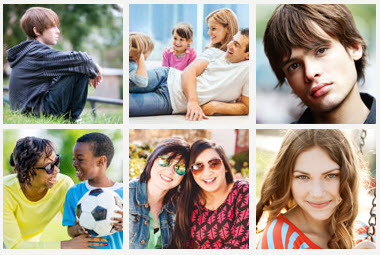 Family therapy often plays an important part in work with children and adolescents.